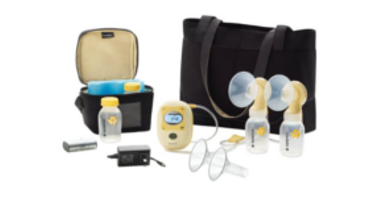 Freestyle is a double electric breastpump designed for moms who pump several times a day. It’s compact, lightweight with a rechargeable battery for mobile pumping. Freestyle comes with everything you need to pump in an attractive black tote bag. Features patented 2-Phase Expression® technology, which is proven to get 18%* more milk when double pumping.